Any dill pickle lover is going to fall head over heels for this Dill Pickle Cheeseball! You must be warned though…it’s addicting…oh so addicting! This past week has been beyond crazy! I ended up in the dentist office twice I think. My nine year old was playing on king of the hill on the ice hill at the school. Apparently he was pushed off the hill and ended up breaking his front tooth in half. His permanent front tooth that he’s going to need for the rest of his life! Maybe I was most sad about it because he has the absolutely most adorable buck teeth in the world! After it happened he even told me he just wanted his buck teeth back! You know how doctors’ offices are, I must admit ours is awesome, and there is plenty of time of time to read magazines. That’s when I found a recipe for Dill Pickle Cheeseball! I knew I needed it in my life! I’m not sure which took me longer; the amount of time it took to make the cheeseball or the amount of time it took my family to devour it! Mix room all ingredients except grated cheese. 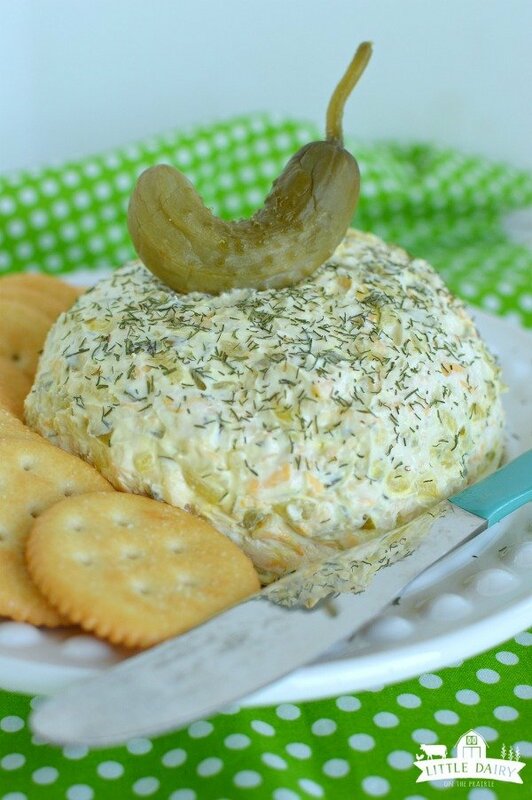 Dill Pickle Cheeseball is fun for parties. You can get creative and served it with lots of different dippers. Or, you can always go the healthy route and use carrot sticks! Appetizers are so fun! Sometimes I go to restaurants completely planning to order appetizers and desserts! I can’t resist ‘em! Dill Pickle Cheeseball is one of those appetizers that people fall head over heels in love with at first bite! 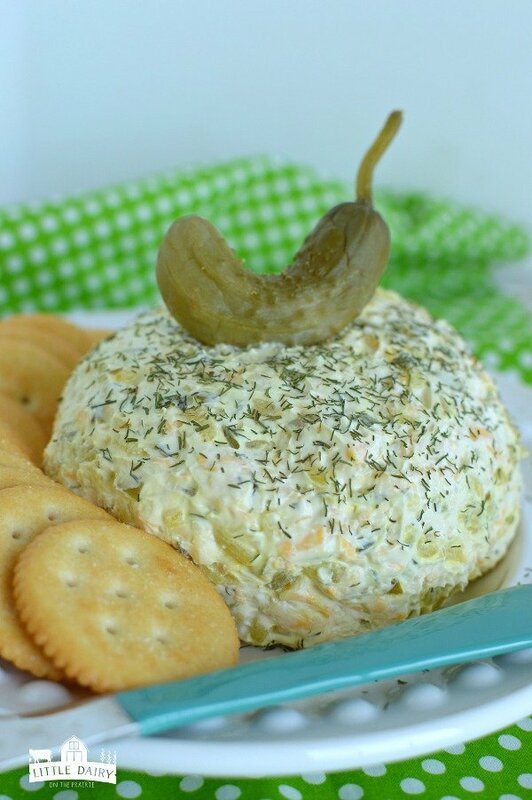 Dill Pickle Cheeseball is just right for the pickle lovers in your life! 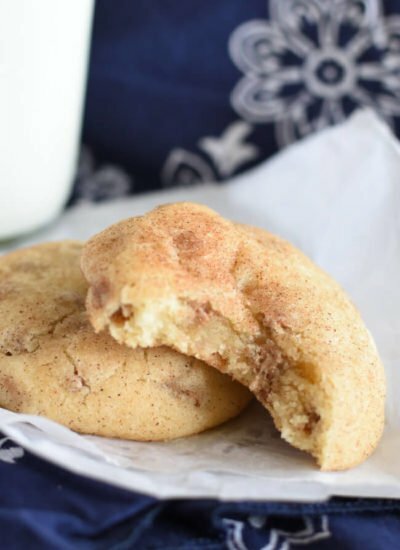 It's easy to make and always a huge hit at parties, tailgating, and any other time! This cheese ball sounds fantastic! It will disappear quickly at any party! 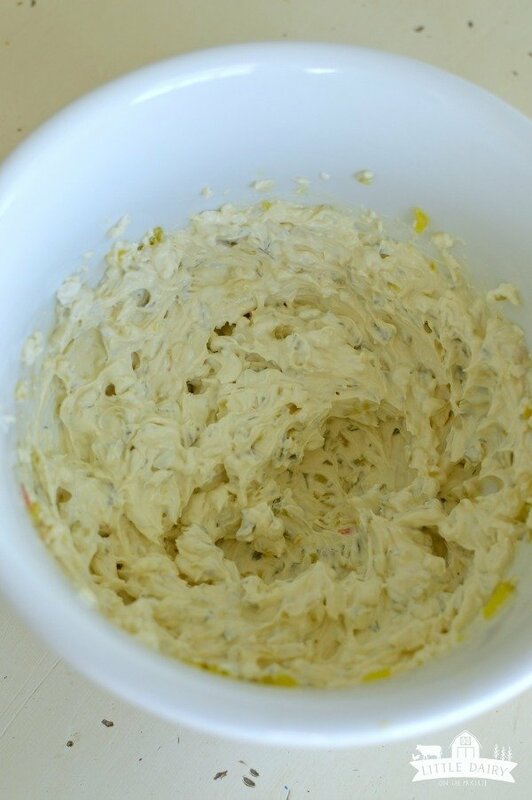 We love appetizers around here, so I am always looking for new dips. We are bug pickle fans, so this is a winner! 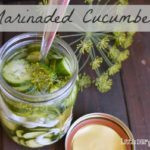 I’m a HUGE dill pickle fan, and I’m definitely going to have to give this a try! Your poor son… that sounds like it hurt! That is rough about the tooth. 🙁 We had a baby tooth incident that turned gray, but nothing with permanent teeth, thank goodness. I hope everything is all fixed up now. 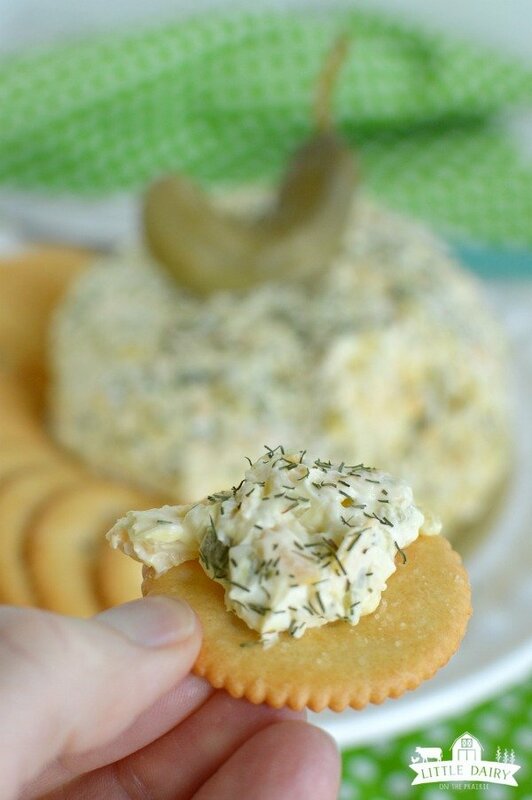 This dill pickle cheeseball sounds delicious! I absolutely LOVE pickles. Me too! 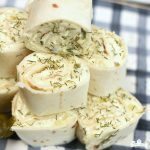 Dill Pickles are one of my favorites and this happens to be an irresistible way to eat them! 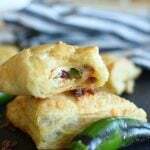 Always looking for tasty and new ways to prepare appetizers. 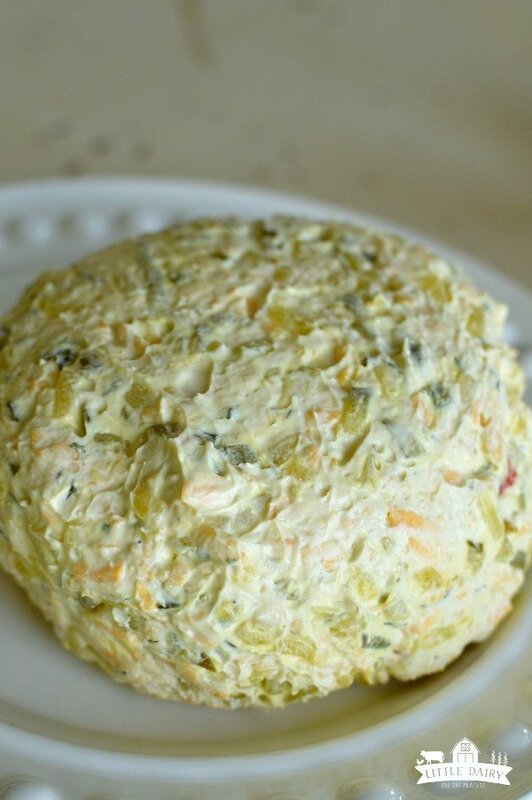 This dill pickle cheeseball looks so delicious! Appetizers are my favorite! 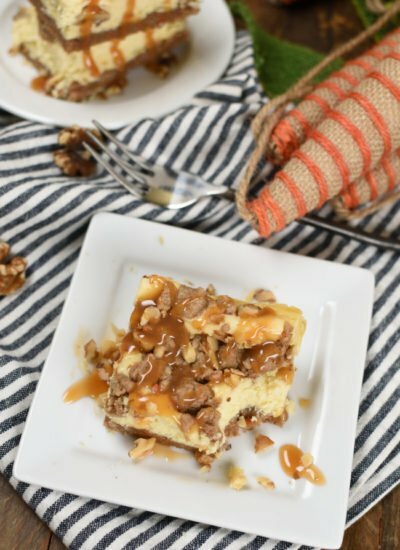 This one is a little different but it’s always a hit! I’m pretty sure my husband would eat that whole cheeseball in one sitting! Haha! He’s a man after my own heart! Hi! Looks yummy and so simple! Can I just use chopped up sliced dill pickles or is that too strong? Should it be relish? It’s a little more work to chop all those pickles but it should work just fine. Let me know how it goes! Your poor kid! I totally thought of the ‘All I want for christmas is my two front teeth’ song when you mentioned the story! Hopefully it all went well! 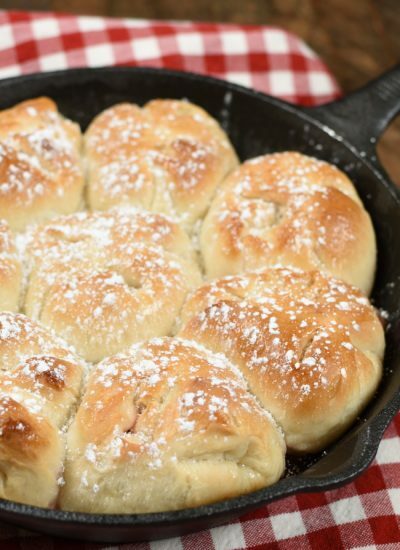 Thank you for sharing this recipe, it looks delicious! I can’t wait to try it at home. He was a little sad for awhile but he’s crazy as ever now! I have to admit I was totally in love with his buck teeth though! I can’t wait for you to try this cheeseball either! It’s so yummy! Thanks for stopping by Lois! You are welcome here anytime! I got a good chuckle out of this. My daughter had me make a dill pickle cheese ball when she was 5 or 6 and she is now 20. It is a little wild but so yummy. Great Minds!!! That’s so fun! I bet she still loves pickels as much now as she did then! Have a fantastic day! What is the measurement on the grated cheese? You say 1 1/2 but is it cups? Just wondering. Looks delicious. Thanks for pointing that out! 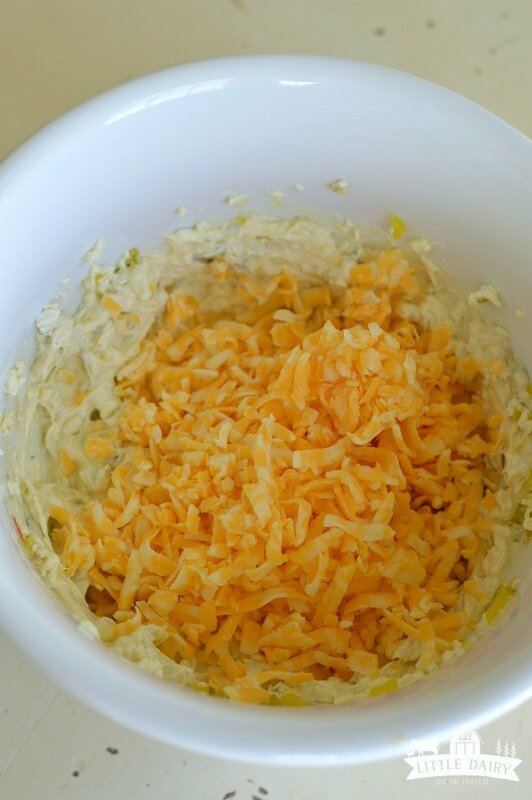 Yes, it’s 1 1/2 cups grated cheese! 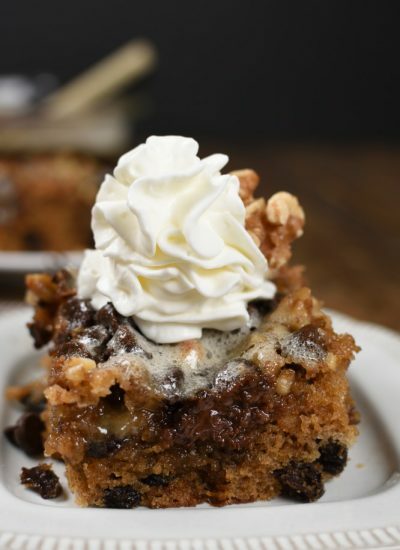 Looking at this recipe makes me want to make it again! Could’ve been better. Following this recipe, it was too runny. Probably could’ve used another 8pz of cream cheese. I’m sorry to hear that. Mine has never turned out runny. Did you let it sit in the fridge to set? What is a T? It should be more clear this could change the recipe exponentially. And I had to sift through all of the comments that weren’t even from people that ACTUALLY Made the recipe. That’s really annoying. Hi Jen! Sorry for your frustration! T is a standard abbreviation for Tablespoon! Merry Christmas! Hi Amy! I made this and it turned out perfectly! It is so good. It’s so refreshing to see you being so nice to people on here. It’s just my opinion that if you are going to be cooking anything, you should know that when you read a standard recipe, T is for tablespoon. I hope you and your family have a wonderful holiday season!!! Can’t go wrong with Dill Pickle anything right? I try and remember to be nice because that’s how I would like to be treated. Sometimes I wish other people would stop and think of a kind way to phrase their comment/question instead of spatting off. I think they would be happier in the end. It’s the kind comments and well wishes that make blogging so rewarding! Thanks for stopping by and leaving a kind words! Merry Christmas to you too! I used real Claussen brand pickles that I diced up instead of disgusting relish and it turned out amazing. Real pickles would taste fantastic! Glad it turned out so well for you! 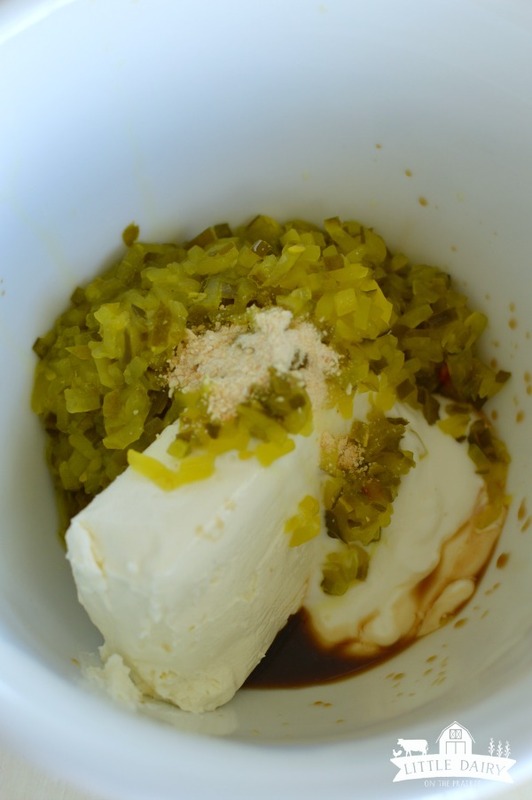 For those of us on a super tight schedule pickle relish is a great time saver! 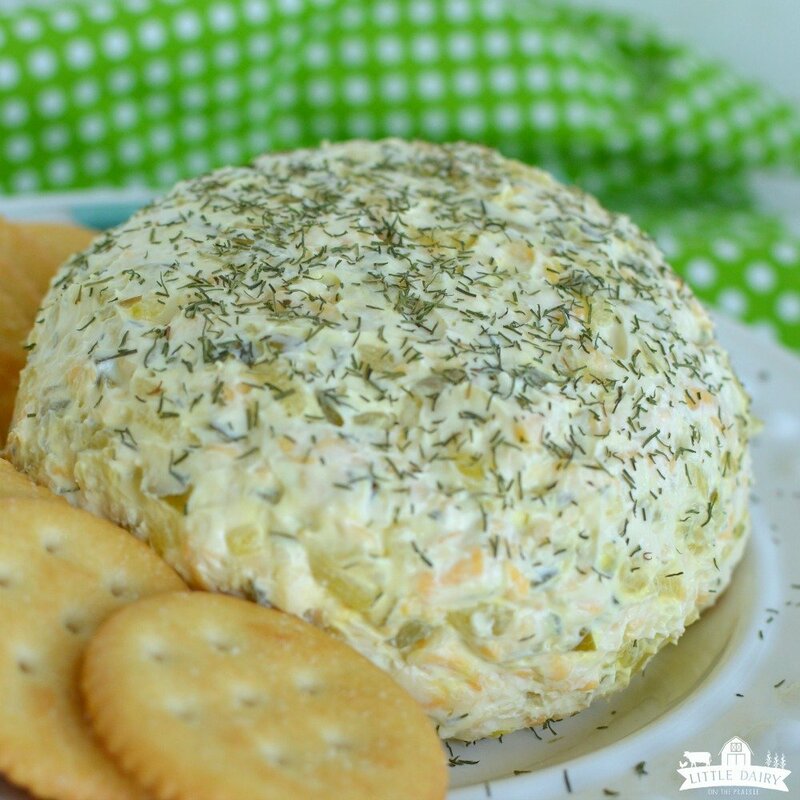 Either way this cheeseball is sure to make dill pickle lovers happy! I don’t think I’ve ever seen dill pickle relish before, only the sweet stuff. It’s usually by the pickles. I buy it for my hotdogs. It saves time over having to chop pickles, but you could if you needed to. I love this cheeseball! So tasty and easy to put together. I have used this to spread on thin sliced ham and rolled up for an appetizer. Heavenly! Have made this several times and people LOVED it !!! Yay! I’m glad you love it, and so do your friends! It’s such a fun change of pace when it comes to appetizers! Dill pickle lovers unite! like Cheese Ball’s due to the fact I don’t like cold cheese. Will definitely try this for my Family! Thank You!! How fun! Having a monthly birthday luncheon would be a blast! A Dill Pickle Cheeseballs would be such a fun recipe to share! I’m so happy you enjoyed it and can’t wait for you to make it for your family!